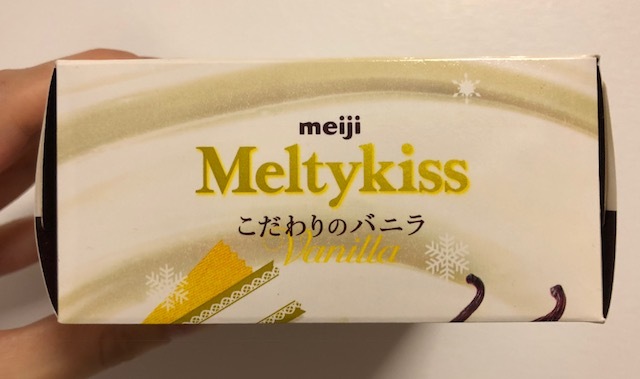 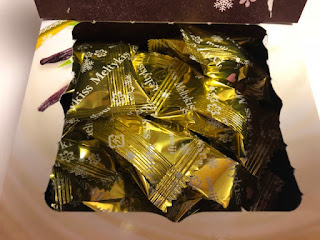 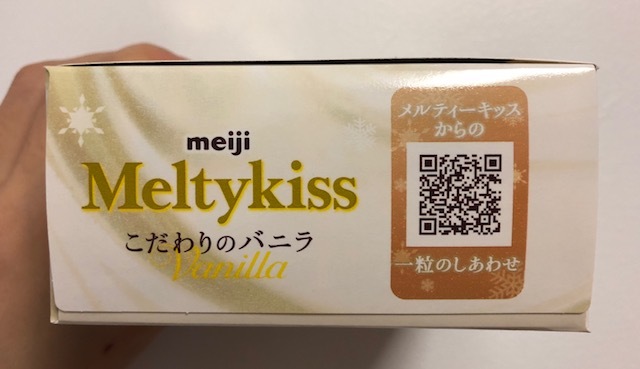 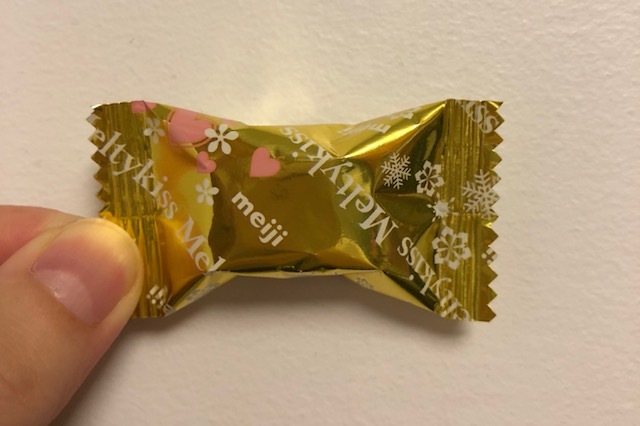 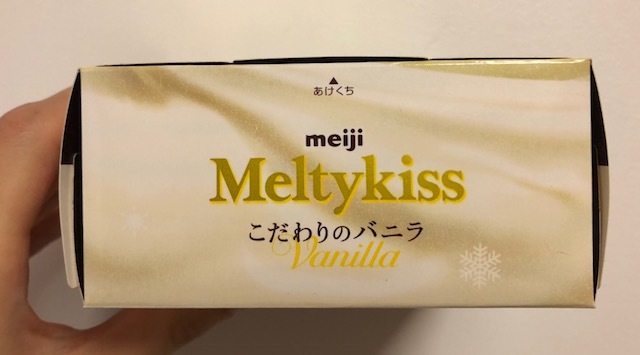 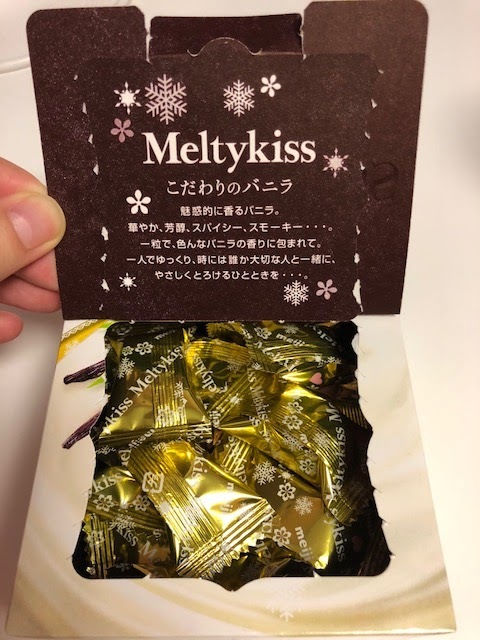 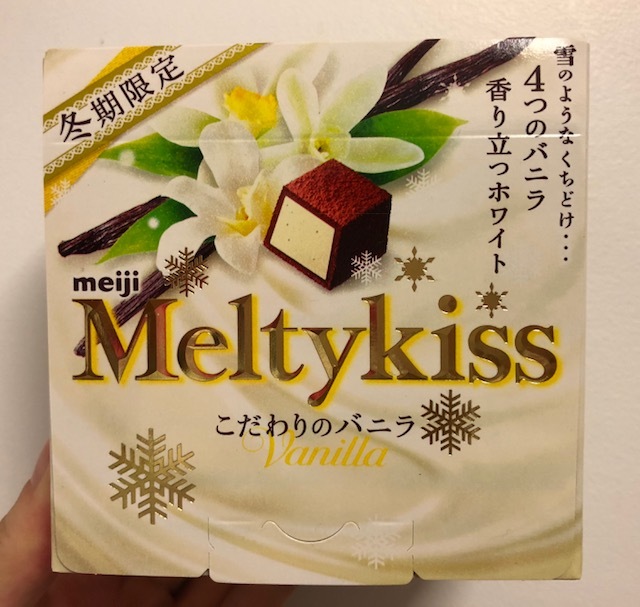 Meiji launched the famous winter-only chocolate, "Meltykiss Vanilla" on January 9, 2018. "Melts like snow... Fragrant white (chocolate) with 4 kinds of vanilla." For 25th anniversary of Meltykiss, we created "happy blend" with 4 vanilla in white chocolate. 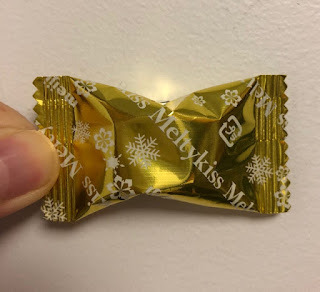 A winter-only little comforting piece. 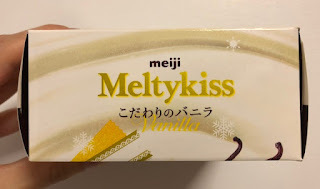 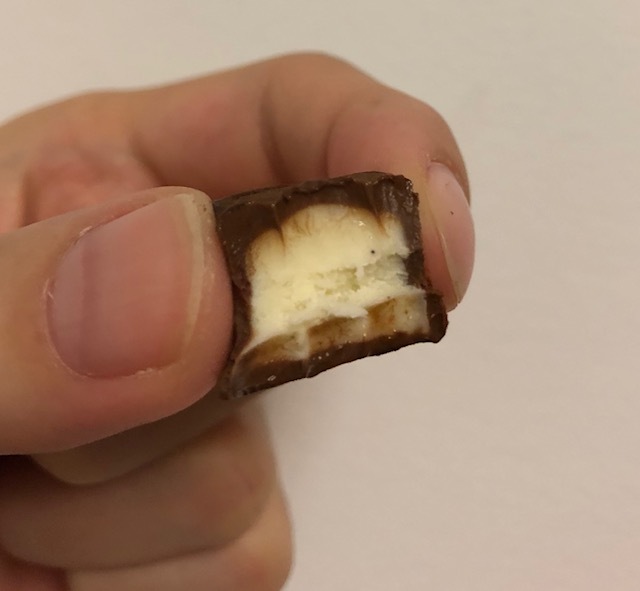 One chocolate is combined with various vanilla flavors. 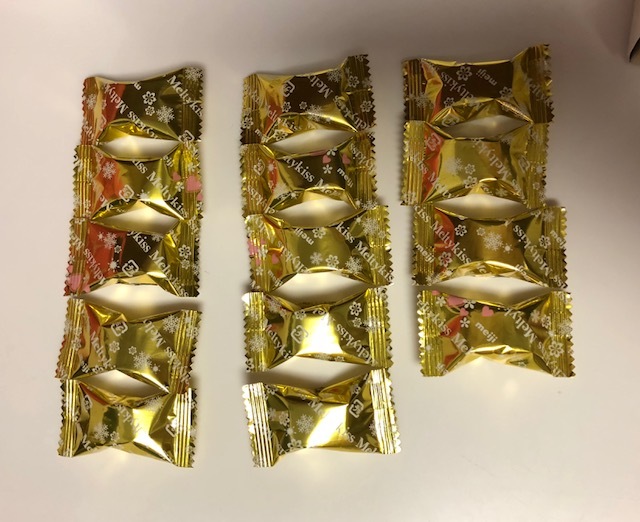 Each chocolate was wrapped in a gold pouch. 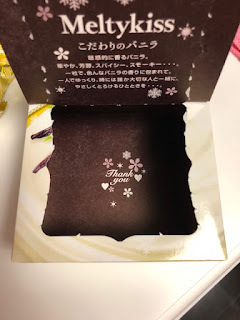 At the bottom of the box, there's "Thank you" note. 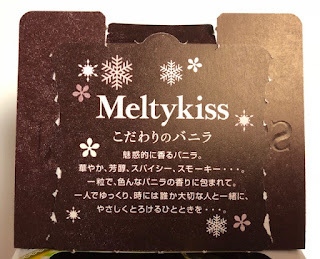 Some pouches had pink hearts beside white snowflakes and logos. 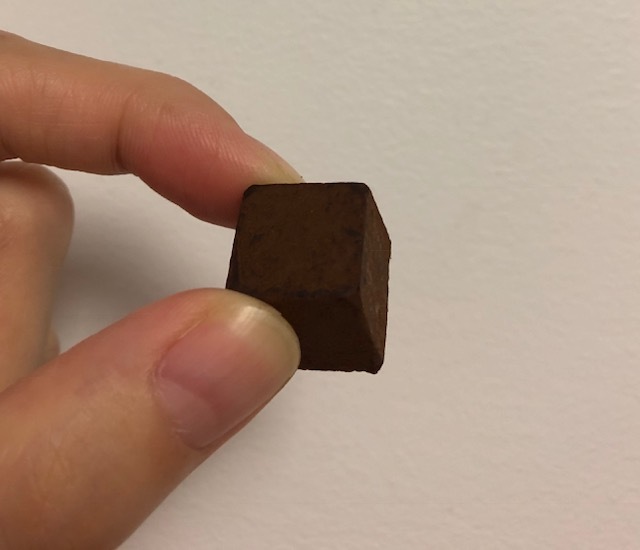 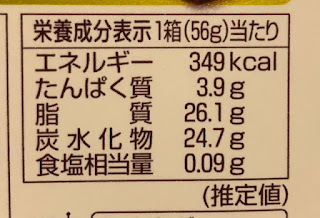 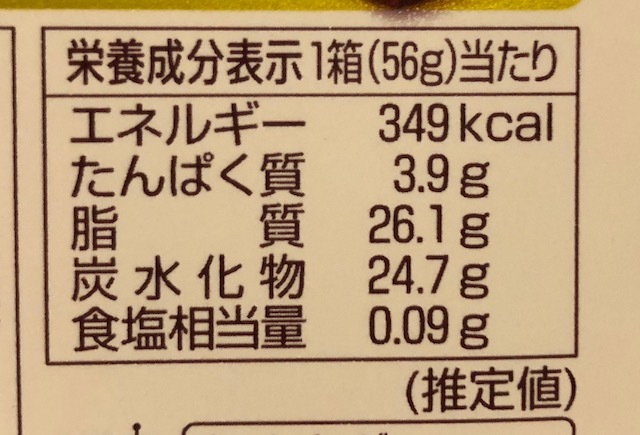 Over a cubic chocolate, there's cocoa powder. Under the soft ganache-textured chocolate layer, there's white chocolate with vanilla beans. At first, it had chocolate and vanilla flavors, and the sweetness was much lighter than I thought. 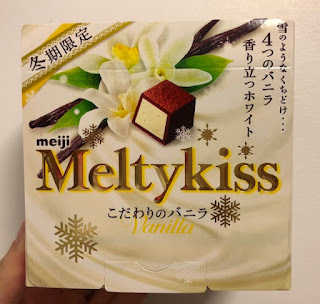 The aftertaste was white chocolate, and I wasn't sure those 4 types of vanilla (bright, mellow, spicy and smoky) written on the box, especially spicy and smoky were impossible to notice.